Complete Cuba Car Rental Prices Comparison of all 4 car rental agencies in Cuba helping you get the best rates. There are 4 rental Car companies in Cuba all of which are owned by the Cuban Government and, as such, the booking systems are all identical in design and function and show similar Cuba Car Rental Prices. However, they differ in their offerings relating to Cuba Car Rental Prices and we´ll cover this week the various rates and vehicles available plus guide you to the best rates with tips and tricks. If you plan to take your car and leave it in another city then never rent the car for less than 3 days in low season and 5 days in high season (we´ll explain these seasons below). This is because you will not have access to unlimited miles for rentals shorter than these minimums and this can work out very expensive depending on the distance you intend to cover. If however you wish to take the car for less time, possibly instead of taking a VIAZUL bus transfer, then expect to pay 0.30 USD per kilometer. Before you arrive in Cuba, ensure you have the exact voucher issued by CubaCAR or you will invariably have difficulty getting your vehicle. Try to book the vehicle directly through CubaCAR website rather than a secondary source or third party agency as, the Cuba Car Rental Prices will be inflated as Cuban agencies pay vey small commisions to these secondary agents and they raise prices to compensate. Drivers – The primary driver will need to have a valid driving license from their country of origin. Cuba does not require international driving licenses in order to rent cars from any agency. If there will be more than one driver it is very important that this driver be added to the contract/insurance. The cost of adding an additional driver is $3.00 per days (about 2 euros) If your rental is long and there are numerous drivers it can work out cheaper to rent from REX (see below) due to the fact that REX has a onetime payment of $10 to add an additional driver. Insurance – The insurance payable for your vehicle is not included in the Cuba Car Rental Prices as it is payable directly upon collection of the vehicle. Essentially, the Cuban Government requires payments be made by the driver at the time of delivery to allow for the refusal of rental to underage drivers or those which do not hold a valid driving permit. Basically, when you pre-book your car online you are paying for the whole rental in advance at the lowest possible Cuba Car Rental Prices therefore, by making insurance payable in Cuba the prepaid rental can be invalidated for those who do not meet the criteria. A minimum Rental age for Car Rental in Cuba? – There is some confusion concerning Cuba´s minimum driver age so we´ll try to clear this up. If you do not pre-book your car on the official websites and decide to simply “show up” at a given rental car office or, more importantly, you rent the car through a third party agency, the minimum age for car rental in Cuba is 21 years old. This is a steadfast rule and you will be turned away EVEN IF the third party agency has issued you with a voucher. If you pre-book on the official website and receive the voucher prior to arriving in Cuba then the minimum age is 18 years old. Apparently, this is because prepaid rentals are considered more “responsible” and thus the exception is made on age. This also applies to extra drivers who may be under 21. If the car is pre-booked and one of the drivers is under 21 then this will also be accepted. 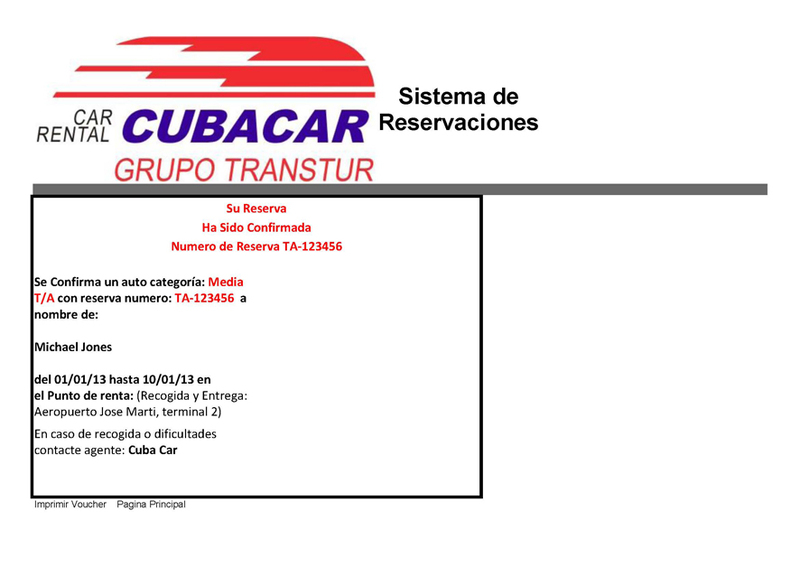 Fuel Surcharges – All Cuban Rental Car agencies do not include fuel in their Cuba Car Rental Prices when you pre-book. However, all cars are provided with a full tank of fuel upon collection. You will be charged “in advance” for this tank of fuel when you collect the car. The amount obviously varies depending on the amount of gallons (liters) the car holds and this will then be charged at $1.20 (correct as of Sept 2011) which is the amount payable in gas stations across the island for “Super Especial” which is 95 octane fuel sold in other countries. You should be aware that cheaper fuel exists in Cuban gas stations but, the attendant will refuse to fill your car with this and there are no self service stations in Cuba. * Child Seats – REX Car Rental, Free. Havanautos, CubaCAR, VIA Car Rental $5 per day. * GPS – NOT AVAILABLE – These are banned in Cuba. You cannot enter the country with them and they are not available to rent. 0-3 Days rental – Havanautos, CubaCAR, VIA Car Rental $0.30 per kilometer shown on the odometer. Important Note: If you do not book your car through the official websites in advance you will be charged drop off fees at $0.30 by ALL 4 car rental agencies. Important Note: In High or Extreme High season, if you do not pre-book well in advance you will encounter the unavailability of vehicles when you arrive. This for many is hard to believe but it is a given fact. If you are “lucky” to find a vehicle you will be charged Extreme High Rates (30% more than shown here) plus a premium one of payment of between $30 and $80 as a finder’s fee. 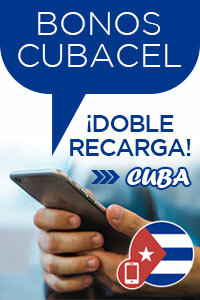 Looking for manual or stick shift Cuba Car Rental Prices? Then you will find the rates to be a little less expensive and availability a little more abundant. However, Car Rental in Cuba for certain models can sell out quick. Check availability and rates below. Need to move a group of people or family around then Minivan or Van? Car Cuba Car Rental Prices for these categories further down. Below are the multi passenger vehicles available from major suppliers of Car Rental in Cuba. All large Van and Minivan type Car Rental in Cuba requires a minimum age of 21 for the driver.